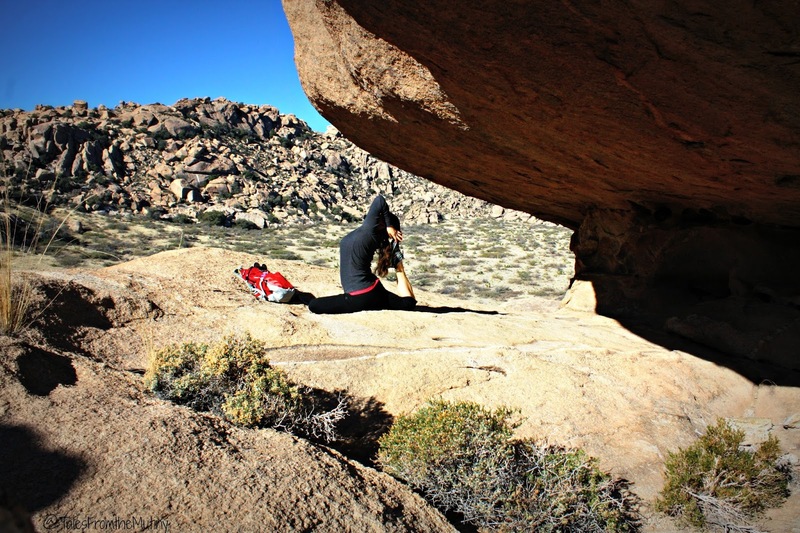 Striking a yoga pose at Indian Bread Rocks. We’d had our solar for about 2 months and still hadn’t really tested it completely. Since we had decided to spend the holidays in Bisbee we stayed at the only RV park in town, which happened to have full hookups (thank goodness since it snowed on us 3 times and had well below freezing temperatures). Itching to test out our systems capabilities we spent a few days scouting out some boondocking spots in the general area. Although we really wanted to visit Chiricahua National Monument again there wasn’t a suitable area to camp (the campground inside the park has a 29 foot actual measurement limit). And wanting to see how long we could go without needed to refill water and/or propane meant Whitewater Draw Wildlife Area, with it’s 3 day maximum, was out too. 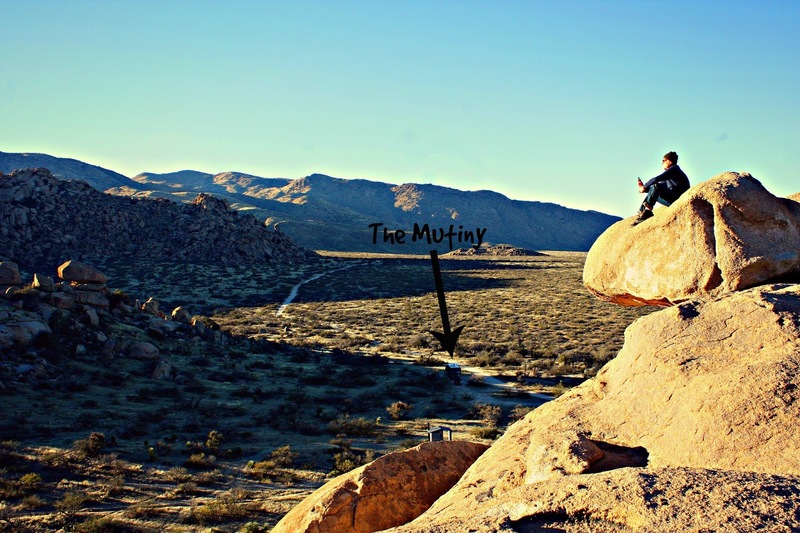 Luckily, there was another option…Indian Bread Rocks Recreation Area…and it turned out to be the perfect setting for our first real wildcamping experience. 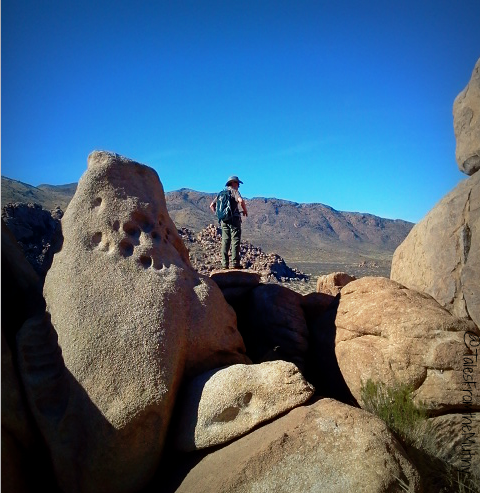 Indian Bread Rocks is administered by the BLM and is part of the Dos Cabezas Mountain Wilderness. There are several undeveloped campsite but larger rigs will probably want to stay closer to the picnic area, which seems to be the only somewhat level area. You can stay up to 14 days and, during our visit, the rangers did come and check on us…partially due to the fact that this is technically part of the drug smuggling corridor (even though the ranger informed us there hadn’t been any illegal activities here in all the years he’s been patrolling the area you still have to stay informed). Our first lessons on wild camping with our solar came within the first full day of our arrival. These are just the things we learned during this stay. 1) How and where you park is crucial, especially in the winter months when the sun is lower on the horizon. Initially we had parked the Mutiny on the most level place we could find which also gave us a nice view from our “porch”. Aesthetics are everything…or so we thought. Sadly, there were a couple of things against us: a) the sun was going over our width instead of our length meaning our panels were not exposed to the sun long enough during the day. We couldn’t even tilt them to compensate for our parking error. And b) We realized that parking near a huge mountain of rocks, especially in the winter, meant the sun would “set” much earlier in the day than if we were say, parked out in the open. 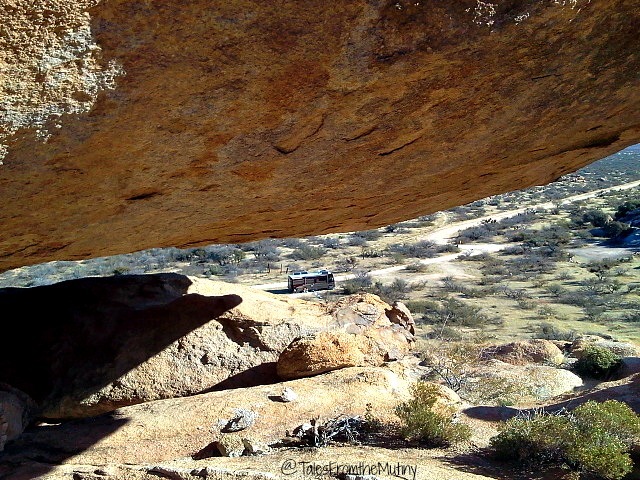 We ended up having to reposition the RV to face more East to West, even if it felt slightly wonky. But we weren’t willing to move further away from the rocks (we have a generator which can help charge the batteries after all). 2) Tilting the panels really, really works. This goes along with number 1 but deserves it’s own spot on the list. Even though we were camped pretty far south the sun was still low in the sky. Had we not had the ability to tilt our panels we would have had to run our generator daily. Once we positioned ourselves correctly, learned to turn off our inverter (see below) and tilted our panels we were in business. It might seem like a lot of work but it’s really just a learning curve. 3) Turn off the inverter when it’s not in use. This lesson actually took call to Ron at D&R’s Family RV (our installer). It seemed we were having a hard time keeping our batteries charged and, even when the sun was at it’s highest, it didn’t seem to be charging our batteries as efficiently as we hoped. Turns out that just having the inverter on puts a draw on the system. And that draw doesn’t even account for any incidental items you might have plugged in that “steal” your power. These are items you might not even be aware of as power grabbers (like the refrigerator fans, microwave display, TV, DVR and electric clocks that are always on standby or flashlights, cell phones, iPads and laptops that are plugged into chargers constantly). At first we were actually leaving the inverter on all the time, including when we slept. While it may seem obvious to some, this was a valuable lesson for us. 4) Catching your hair washing water in a bucket and then using that water for a “camp bath” is perfectly acceptable. For some people (who think daily showers are a necessity) this might be a deal breaker. 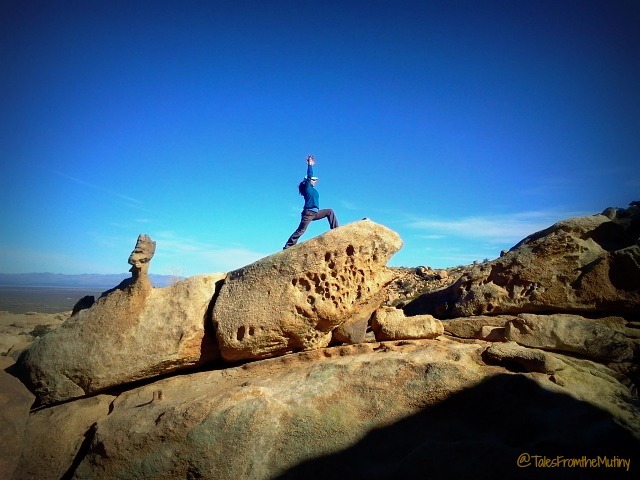 We, however, have learned that the body will actually find it’s natural balance when it’s allowed to “do its thing”. I have oily skin and Clark has dry skin. I have fine hair and Clark has thick, course hair. Clark barely breaks a sweat (even when hiking, freak) while I can get pit rings just sitting around in the RV. Yet both of us have managed to have really healthy skin and hair when we go without daily showers. However, camp baths do come in handy and a hat can only hide my oil hair for so long. We ended up lasting 12 days before we ran out of fresh water and the black tank reached capacity. Not too bad for our first run! But beyond having a successful boondocking experience, managing our fresh water and holding tanks rather well for first timers, we also enjoyed our stay immensely. 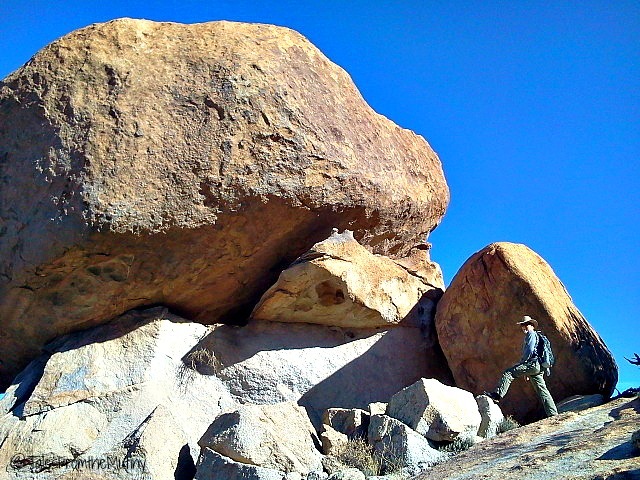 The rocks surrounding us consisted of huge, granite boulders stacked up in large piles…perfect for scrambling, bouldering and climbing. 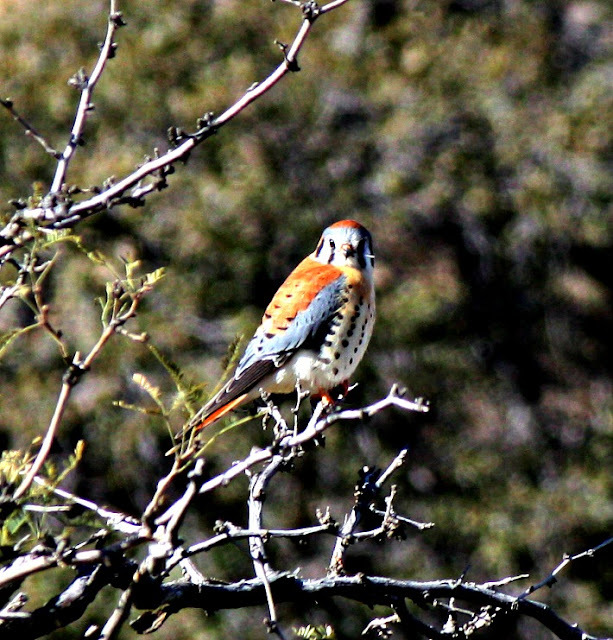 A kestrel visited several times. We hiked most days, following cow trails to little valleys and shady spots. 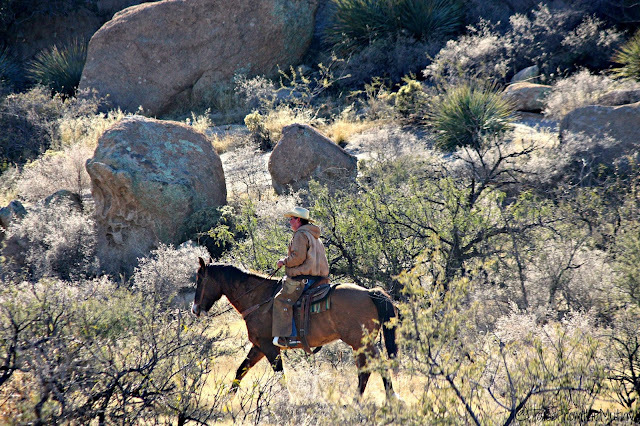 We sat and watched cowboys ride by a few times…checking on cattle and rounding up a loose horse. We even had cows visit the RV. We made the drive to Willcox for a grocery run one time (it’s the nearest place with a grocery store). And we took a day trip to Fort Bowie National Historic Site, just a few miles down the road. 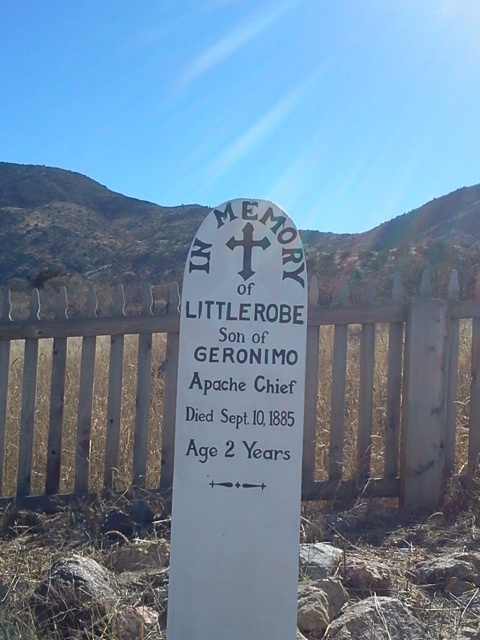 Fort Bowie commemorates the bitter conflict between Chiricahua Apaches and the U.S. military – a lasting monument to the bravery and endurance of U.S. soldiers in paving the way for settlement and the taming of the western frontier. It provides insight into a “clash of cultures,” a young nation in pursuit of “manifest destiny,” and the hunter/gatherer society fighting to preserve its existence. Fort Bowie was established to protect Apache Pass, a natural spring that provided a reliable source of water in an otherwise dry area. Visiting the historic site does require a three mile round trip hike from the parking area to the visitor center but it’s well worth it. (Note: For visitors unable to make the hike there is an option to drive a narrow gravel road out to the site. Follow the ADA signs from Apache Pass Road…there is limited parking). Signs along the way tell the stories of conflict and the historical impact of the area. I know they get into people’s gardens and eat their flowers but if you choose to live in an area where wild animals are indigenous then you’ll just have to deal with it. Animals are constantly getting pushed out of their natural habitats and are left with no where to go. While we may not understand their purpose they are a necessary part of the cycle of life. We were fortunate to have met Brandon, the fulltime ranger assigned to Fort Bowie at the time, who has a particular love for his job. His narrative really brought the place to life. 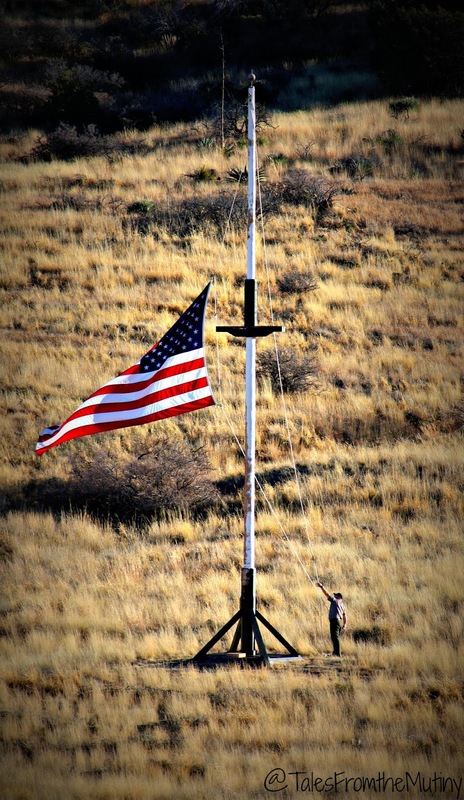 I’d definitely recommend joining in on a Ranger lead program to learn more about Fort Bowie. We hiked the upper trail back to the Jeep which provided for some great views. 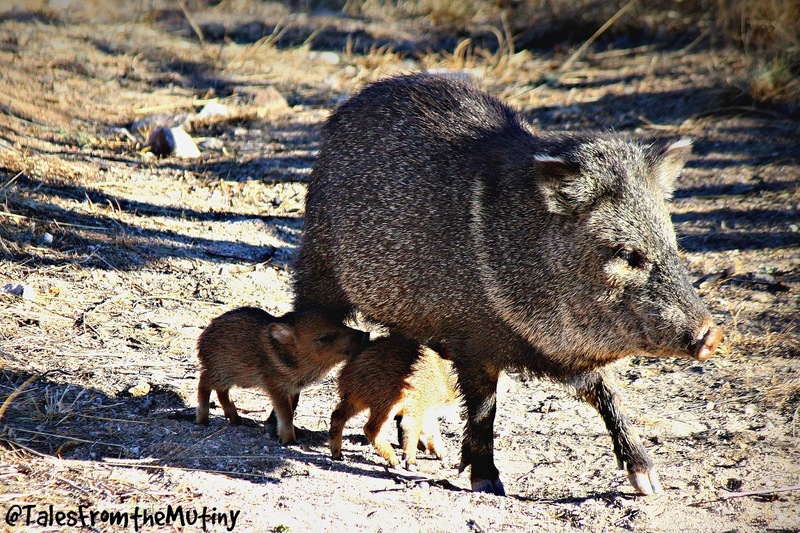 We also saw javelinas (and baby javelinas) for the first time. I don’t care what anyone says…they are cute! Brandon lowering the flag at Fort Bowie. Indian Bread Rocks is still one of our favorite places…as a matter of fact, it’s been a year since this visit and we’re back. Yep, I’m sitting in the same spot looking out at the same rocks right now as I type this. It seems surreal to think it’s only been a year…so much has happened in that time…all of which will be revealed in future posts. Thanks for visiting! We love your comments so feel free to leave one below. Great info you two. This helps a lot. Our New RV Adventure starts this year.